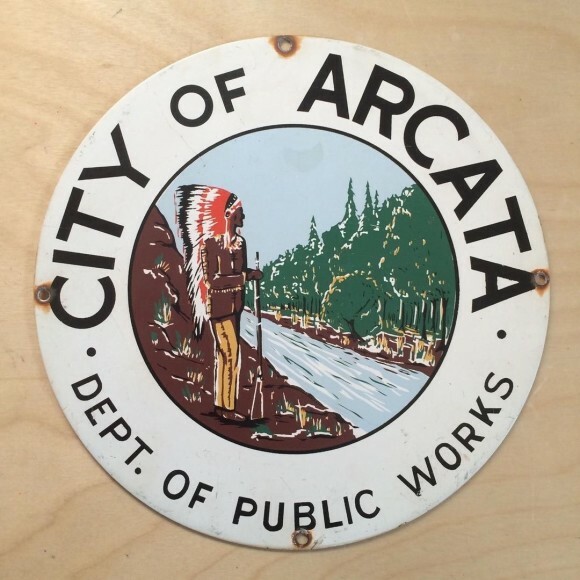 This sign is for City of Arcata. The sign’s colors are green, blue, black, white, and brown. The text on the sign reads: City of Arcata Dept. of Public Works. The sign shows an Indian looking at a river with trees in the background and text surrounding.